Let WOW! help you start and grow your freelance career! Premium-Green isn’t just market listings, it’s a guide with community benefits. For only $4 a month, you get a 100+ Page Ebook delivered to your inbox each month, and you’ll have access to a private community of women writers just like you! We know that becoming a freelance writer takes more than just market listings. You’ll need the opportunity to network with your peers and a support system to help you reach your goals. And that’s exactly what your Premium-Green Markets Subscription will do. Monthly 100+ Page ebook in friendly PDF format: Easy to print, easy to save. No need for storing emails to find links and articles you missed! Access to the PG Subscribers Group: Network with your peers, post discussions, ask questions, and receive insider tips. Documents for PG Subscribers: Upload, download, and share content with the group. We put up free articles, contracts, and ebooks for the group each month, so take advantage! Looking for a freelance gig? Or a job? The "Writers Wanted" section brings you publications, companies, and individuals who are seeking freelance writers, editors, and bloggers. This section also includes updates from the street team, and emails from freelancers. At the end of the Writers Wanted section, we do a "Freelance Job Slam," which features breaking markets and as many new calls as we can stuff into that section right before the ebook goes live! How do I sell to the weeklies? What is the best way to approach an agent? When should I follow up after a submission? Why do I need a platform? Submit your question on anything you'd like to know, and we'll publish it in our Q&A column. Anything goes here. You can ask questions about life, freelancing, writing, editing, or personal issues. We'll answer all of them! We love fiction—all types, and these markets are looking for your submissions. We know that fiction is one of the hardest markets to make a living from, so we go out of our way to find unique and unexplored publications that are seeking your fiction submissions. WOW! Columnist, Del Sandeen, lives "in the trenches"—as a full-time freelancer, she knows what it takes to make a living from her writing. Del shares her personal experiences in the world of freelancing: publications she's submitted to, responses to her queries (both acceptance and rejection), and tips that have worked for her. Written with a how-to style, Del lets you step inside her world by sharing her secrets. Grow your freelance career with Del! Many freelancers get their start with magazines and small nonfiction presses. Publishers need freelancers to provide them with content to feed their audience. Here, we ask editors what they need and gather special tips for you! We know it's one of the hardest things to figure out, and the reason why most freelancers get turned down. So, stop hearing that your article/content doesn't fit the magazine's current needs. We have the inside scoop! Topics include: How to win over an editor's heart, how to start and maintain a successful website, blogging for bucks, how to set up your business structure for your home-based freelance business, promotion and guerilla marketing, and more! 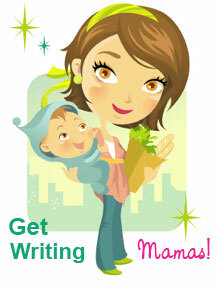 Pink and Green goes in-depth to bring you the BEST in writer's markets for women. These are markets that specifically seek women writers for their publications. As women, we all know that these markets are few and far between. So, sometimes there will be more and sometimes less. One thing we can bring to the table is that WOW! Women On Writing is always seeking submissions from women. As subscribers of Premium-Green, you are the ONLY ones who will receive up-to-date information about our immediate needs. Anything you can write in a few words to get the green! Want to make the most green for your word count? This is the place to do it! As we’ve learned from some of our freelancers, you can make good money by writing for small niche markets. This is a great place to discover what they’re looking for and how to submit! Are you having a hard time fitting writing into your busy schedule? Do you need motivation? Well, this column helps balance your family life with your career, and gives you the motivation you need to stick with it. And YES, you can be a mom and write too. From one writing mama to another, you’re in good company! Get Your Stories Out & into Print! For those of you striving to publish your novel or nonfiction book, anthologies are a super way to start buzzing your book, and getting your foot through the publishing doorway. Plus, it's a fantastic exercise to keep your writing fingers limber, and the camaraderie of sharing your story with a team of authors is amazing! The anthology markets here help you break into the exciting world of sharing your stories and collaborating. Talk and shine on—we love to hear about it! It makes us smile. Write On! Each month we provide you with a place to brag about the markets you’ve bagged! Contests are a ton of fun and great practice. There's the excitement of entering, coming up with a topic to write about, and the anticipation of waiting to find out who the winners are. And there's nothing wrong with a little healthy competition! Each month we bring you a great selection of contests to keep you in the game, and garner recognition for your writing skill. Contests listed by deadline. Thanks to the internet, many opportunities for freelance writers abound. From the comfort of your own home (and dressed in pajamas! ), you can earn a living or make some “side green” by exploring the avenues available to you as a professional writer. Our goal with Project Workbook is simple: to help guide you through your freelance career (from the very start, to over the rainbow and beyond). This section provides you with worksheets to print out and save in a folder. This helps you track your monthly and yearly progress. You can also fill it out online in your PG discussion group and discuss your triumphs and challenges with other PG members! If you are familiar with WOW!, you know how hard we work to bring you the best content out there that is available to women writers. We want you to succeed! That’s our main goal. And to do that, we want to continue to provide you with free content in our ezine, as well as continue to provide paying gigs for freelance writers. This is one way for us both to help each other and keep the marketplace open and prosperous for women writers. Not convinced yet? Why not take a test drive! Previous issues of the Premium-Green ebooks are available for purchase in our WOW! Boutique for $5 a piece. Visit the WOW! Boutique’s Ebook Page and take a spin! If you missed the first issue of Premium-Green, don't fret! It's still available to you here. But remember, by subscribing, you only pay $4 per issue, plus get access to your own Premium-Green Markets Discussion Group, and have access to free downloadable documents and all past issues of Premium-Green. For $48 a year, you can't go wrong. For $48 a year, the new market opportunities will pay for your subscription! SUBSCRIBE TODAY and get access to the First Issue of PREMIUM-GREEN and MUCH MORE! Markets, Markets, and More Markets! Copyright © 2011 wow-womenonwriting.com All rights reserved. Web Skills by Maria Reyes-McDavis.